During their Active Time Report that recapped E3 2017, Square Enix announced they would have major announcements to share regarding Final Fantasy XV at this year's Gamescom. Marketing manager Akio Ofuji talked about how the publisher didn't share everything they had during E3, but reassured fans they are going to do some major things this summer for the latest entry in the popular franchise. Gamescom will run from August 22-26. They didn't divulge when exactly they'll have their next stream or if there will be any announcements ahead of the event. However, game director Hajime Tabata confirmed they've continued to work hard on the game and they will have more to share during Gamescom. Tabata also shared new information about the game’s Xbox One X patch, VR, the Regalia Type-D and more. 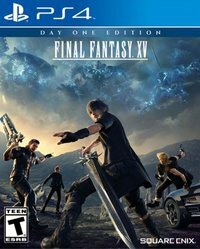 For the Xbox One X, Final Fantasy XV will receive an update at the system’s launch. The game won’t be 4K native, however, and it will run at 30 frames per second. The main difference will be found in the texture quality. As with the PS4 Pro update, users will simply download a patch to access these improvements. Final Fantasy XV is currently available for the PlayStation 4 and Xbox One. In the meantime, you can watch the full Active Time Report above and check out our game hub for more!